Self Magazine is edited for the contemporary woman. The primary focus of Self magazine is on women's fitness, both physical and mental. 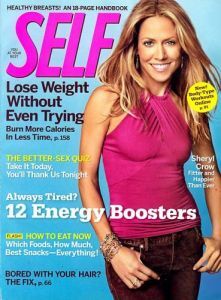 Every issue of Self Magazine provides the very latest information on nutrition, diet, money and career management. We currently do not offer SELF MAGAZINE SUBSCRIPTIONS.